- Discuss about CPCS and CLASS Program / Work / Objectives etc. - Reporting System / Child File record etc. 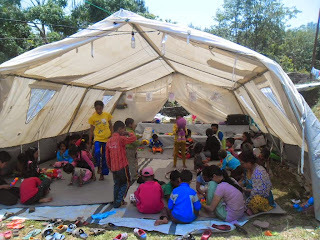 - Nepalese Children; challenges, Problem and Opportunities. - Discuss about how to develop partnership with school / local body/ Club/ NGOs etc. - Sin Card Distribution and brief about NCELL Package. - Bijesh sir was briefing about CPCS program / Work / Objectives etc. First session was very interesting. They interact with us about our program and works. They are very curious about the program. - Arjun sir was update Nepalese Children; challenges, Problem and Opportunities. He was following up CPP and carves up knowledge about report writing and coordination. - All participated were very happy and they requested us to do this types of program frequently.